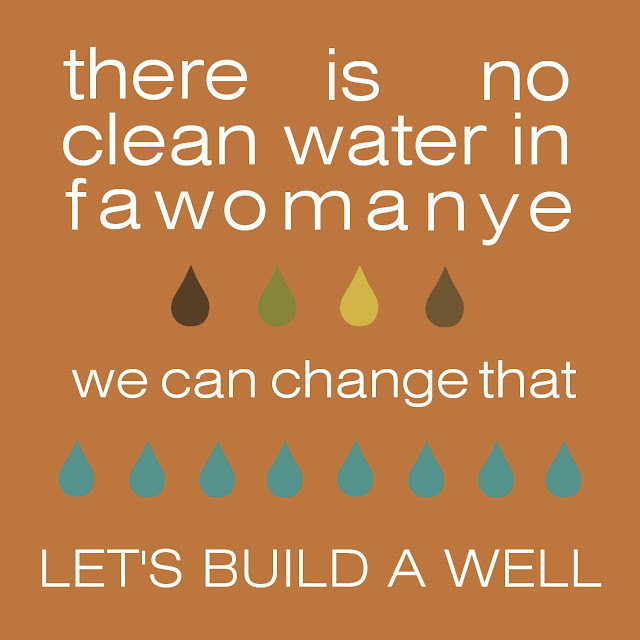 Fawomanye is a rural agricultural village in Ghana, West Africa. They have a problem: The only water they can get is far away and makes them sick. Amy Moon and Good Bird Design & Friends in Highland, Utah are the answer. Inspired by love and community action, they will be the difference! 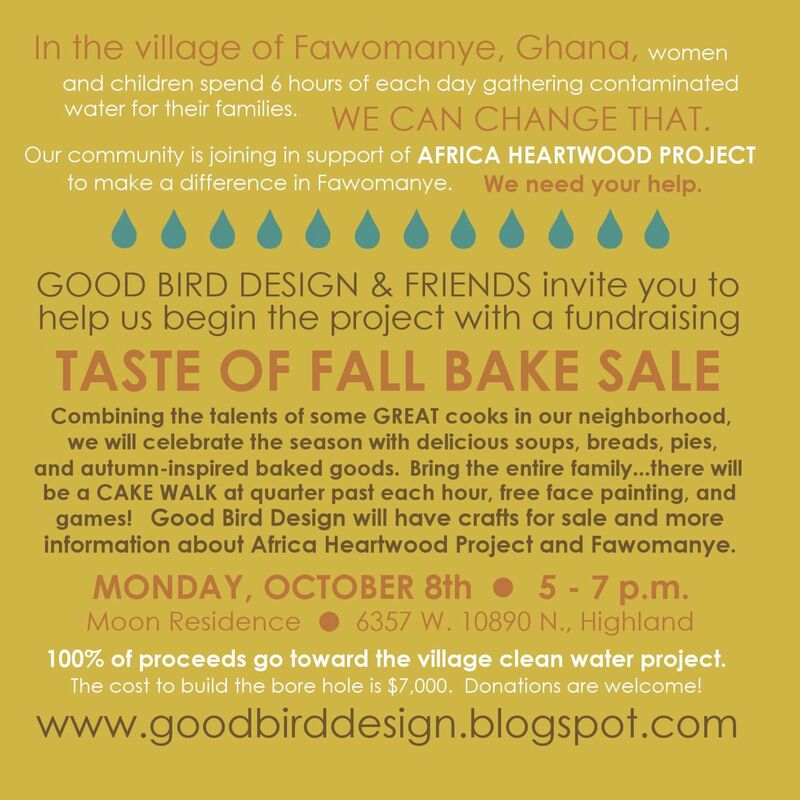 Starting October 8th, 2012, a series of community bake sales, craft markets, and other grassroots events were launched in northern Utah to raise the $7,000 required to provide the residents of Fawomanye with a bore hole. This bore hole – drilled by machine up to 85 meters deep and fitted with a hand pump – will provide clean water for drinking, cooking, washing, and irrigating. Amy and friends are engaged in a cause that will literally save lives and forever improve the quality of life for hundreds of people. For details about these upcoming fundraising events sponsored by Good Bird Design, please visit this link to their website. Here is the postcard for the kickoff event (click to enlarge). Donations are tax deductible, and can be made to Africa Heartwood Project at any time in the name of the Good Bird Water Project. All funds are held in reserve in Donor Managed Fund for this specific project, and when enough funds are available the project will be implemented. As of Christmas Day 2012 this project is fully funded!